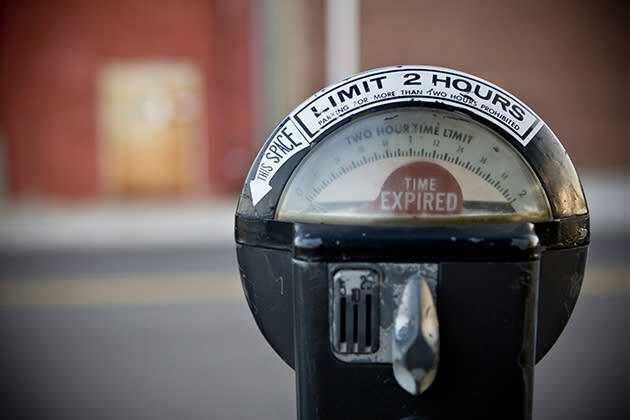 The city of Keene, New Hampshire, is suing a group of do-gooders for allegedly topping off parking meters of strangers. The group, which calls itself "Robin Hood and his Merry Men," likes to leave notes on the windshields of cars that are in danger of getting a ticket due to an expired meter, according to the Union Leader. A note reads, "Your meter expired; however, we saved you from the king’s tariffs, Robin Hood and his Merry Men. Please consider paying it forward.” The note then lists an address where people can send donations if they wish. According to the Union Leader, the city claims Robin Hood and his Merry Men have "intentionally taunted, interfered with, harassed and intimidated" the city's three parking enforcement officers. The suit also alleges that the group follows the parking enforcement officers around the city and uses video and radio equipment to coordinate their efforts. All told, six citizens are named in the city's lawsuit. One of the defendants, James Cleaveland, spoke to the Union Leader about it. "They say video recording or talking to them is harassing them, but I don't agree with that," he said. "So they want to establish a safety zone of fifty feet." The lawsuit, according to the Union Leader, lists a bit of trash-talking on the part of the Robin Hooders. In the filing, parking enforcement officer Linda Desruisseaux said, "Besides following me, crowding around me, making video recordings of my activities, and placing coins in expired meters to prevent me from writing tickets, these individuals repeatedly taunt and harass me, asking why I am stealing peoples' money and telling me to get another job ... In particular, Graham Colson likes to taunt me by saying, 'Linda, guess what you're not going to do today - write tickets.' ... The taunting and harassment tends to get worse when there is a group, as they try to one-up each other at my expense. Another parking enforcement officer claims that he suffers from heart palpitations, stress and anxiety, and "dreams related to this activity." The city is concerned that the parking enforcement officers will quit, according to the Union Leader. That would cause a financial hardship, because the city would have to hire and train new officers, the suit claims. Members of the group were issued the lawsuit last week and have 30 days to respond.